Not sure if I completely understand your question. 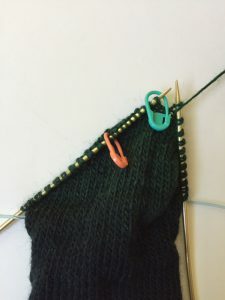 The heel is worked in stockinette – knit on right side and purl on wrong side. The patterning begins after the heel is complete. 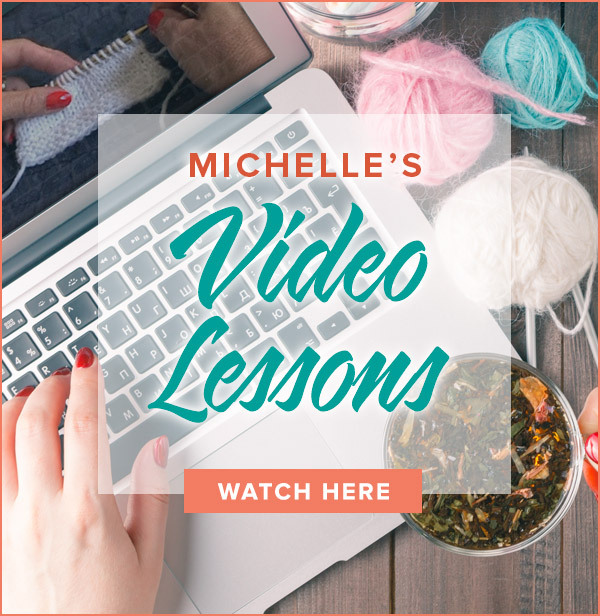 If you did not pattern on the foot then just work the instep stitches in all knit. Question about when you first start knitting the heel–you knit and purl in the center, then knit at end. Is the purl done to continue cable? I did not do cable on top of foot (it was so tight and I had problems) but plan to start cable after heel is completed. Thanks. The process is much the same as two at a time short row heels. Check out my video to see how easy it is. Happy knitting! Trying to do two at a time on circulates. How to best accomplish the heels? I have several knitters who added a gusset to their socks and were pleased. 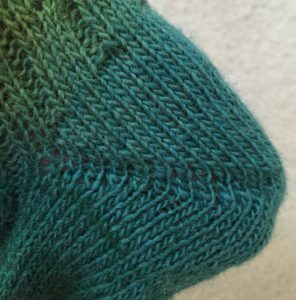 Check out my Ravelry group to read their suggestions. Finished the German Short. I have a high instep I found it tight over ankle to get on. Following medium size, would this heel work with gusset or should I knit the larger size. DS stands for Double Stitch and is explained in Part 2. I also demonstrate it in the German Short Row Heel video. Sometimes i find going up a needle size for the heel helps too! Back again, this time with a question. What is “DS” and how is it accomplished? I looked at all the abbreviations but couldn’t find it. I am almost to the heel so I really need your help. Thanks. The best, and probably most distasteful solution, is to remove the heel and knit you foot one repeat longer. Another option is to remove the heel and try a different style that may be better suited to your foot. I finished the heel, but it is coming up really low on my foot. I’m wondering if this is because the size small stitch count wise. My feet are very skinny but long. Should I add some stitches for the heel and ankle part? I took a picture and will be posting it to my ravelry, TwystedMagpie. Thank you. I think it’s probably my tension too. Looking forward to the next clue. Most likely it is a tension issue. I tug the end DS tightly but try not to over tug the other DS to prevent small holes. If you are unsure, try practicing on a small sample as shown in the video. You can do it! I am loving this heel but feel like there are holes where the DSs are, especially after row 7. Am I doing something wrong or might that even out when I’ve finished? (I have watched the video and I think I am doing it correctly). I would continue on the sock in the new needles to see if it makes a difference before ripping it out. If you like the new results then you can decide if the beginning portion is worth saving. I suspected that. I will have to buy some new needles in size 2 32″, and do you think I should take out what I have already done? I am afraid so. Darn it! Trying to catch up. I definitely think the problem lies with the length of your circular needle. For the magic loop method, the optimum length of the circular needle is 32″. I;m betting that this will take care of your ladders. This question is actually about Part 1. I am having a problem with ladders on the beginning side. I am using a 24″ #2 circular needle. I always snug up the joins, and the one on the left (on the instep side) is fine, but the other side where I start is laddered. It started where the cables start. The toe part it fine. Is there a fix? Could my needles be too short, and it stretches? Any ideas? 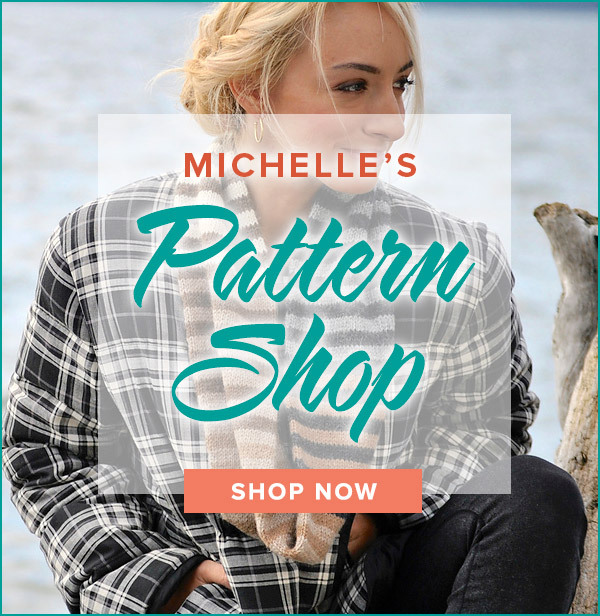 Thanks–love the pattern so far. Yes, you will only need them for a short time but I think you will find them helpful. I goofed up and removed my markers at the end of part 1. Do I put them back so that there are 10 stitches in the middle of the heel round between the markers? Finished the foot with the magic loop technique which is a first for me and find it an easy way to make a tube. The only drawback is when finding a mistake it is harder for me to “tink” back to the mistake. The heel was a breeze and I’m ready for the finish. Thanks for the wonderful videos and clear instructions. Delighted you are having fun! Being a slow knitter, I am not ready to knit the heel but I look forward to trying this one as it is new to me also. This is also the first time I have knit cables so the challenge is on. I can’t read the chart so I am very happy that you included written instructions. No, it just eliminates wraps. Does the DS create a reinforced heel?